Avon Hart-Johnson, PhD is the president and founder of DC Project Connect, a nonprofit 501 (c)(3) organization whose mission is to provide crisis support, advocacy, and psychoeducational services for families affected by incarceration. She chairs the International Advocacy in Action Coalition, working-group for the International Prisoner Family Conference organization and is a board member for the International Coalition of Children With Incarcerated Parents. She is an advocate in the Washington, DC/MD/VA area, serving on the Bail Reform Committee for PG County; Rethink Justice DC as chairperson of the Halfway House committee working group, and is a member of the Reentry Action Network, DC. 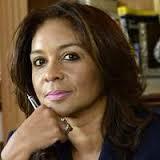 She co-authored the Mass Incarceration Continuum white paper, cited as the Human Rights Issue of the 21st Century. Her latest book is titled, 'African American Women with Incarcerated Mates: The Psychological and Social Impacts of Mass Imprisonment' [McFarland]. Dr. Hart-Johnson is a contributing faculty member at Walden University School of Human and Social Services, College of Social and Behavioral Sciences. She is a current faculty advisor for the National Society of Leadership and Success and an outgoing faculty advisor for Tau Upsilon Alpha (TUA) Alpha Chi Honor Society, and former Director of Social Media for Golden Key Honor Society. She is the 2018 Walden University Outstanding Alumni Award winner. Hart-Johnson, A. M. (2017). African American Women With Incarcerated Mates: The Psychological and Social Impacts Of Mass Imprisonment. Hart-Johnson, A. M. (2017). Gaining access to socially stigmatized samples. The Qualitative Report . Hart-Johnson, A. (2017). PARENTAL INCARCERATION AND CHILDREN. Hart-Johnson, A. M. (2018). Advocacy for Children’s Rights: Physical Contact during Prison Visits. Hart-Johnson, A. M. (2017). Jamie's Big Visit: Grownup Timeout. Hart-Johnson, A. M. (2018). Prison Staff who Shape Child and Family Visits: United Kingdom Multiple Case Study . Hart-Johnson, A. M., Benoliel, B., Johnson, G. A. (2018). A Qualitative Multiple Case Study: Prison Staff Philosophies, Practices, & Family Prison Visitation in the United Kingdom| NOHS, 2018. Walden University (RDS to be submitted). Hart-Johnson, A. M. (2016). Advocacy in Action Keynote Address. Self. Hart-Johnson, A. (2018). A Child’s Right: Visitation With An Incarcerated Parent. Arizona State University. Hart-Johnson, A. M. (2015). Diversity through Inclusion: African American Women with Incarcerated Mates-The Silent Majority. Self. Hart-Johnson, A. M. (2016). Family Healing During the Incarceration Crisis. DC Project Connect. Hart-Johnson, A. M. (2017). From Victim to Advocate: Pathways to Empowerment. DC Project Connect. Hart-Johnson, A. M. (2016). CSOSA . CSOSA. Hart-Johnson, A., Johnson, G. (2018). Contemporary Research And Analysis. CBC. Hart-Johnson, A. (2018). From Victim to Advocate. WAR. Hart-Johnson, A. (2018). Vicarious Restorative Justice. WAR. Hart-Johnson, A. (2018). Mass Incarceration - The Faces. UNLV. Hart-Johnson, A. M., Garrison, T. (2018). The Color of Justice: Strengthening the Black Family. DC Project Connect.